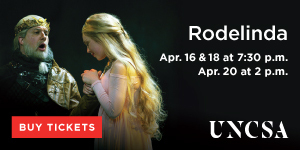 This preview has been provided by The Annual Paderewski Festival of Raleigh. The Fifth Annual Paderewski Festival of Raleigh will take place in November 3-17, 2018, the 100th anniversary of the reestablishing of Independent Poland. The Fifth Festival features six performances by five Polish and American pianists. The Festival honors Ignacy Jan Paderewski, who played a prominent role on the international stage during World War I and contributed significantly to the reestablishment of Poland as a sovereign state. Paderewski played three times in Raleigh (January 23, 1917; November 23, 1923; April 28, 1939) and once in Durham (January 8, 1931). He had here a personal friend in the remarkable person of Mary Lee Swann McMillan, who had been secretary to his wife, Helena Paderewska, for almost four years from 1915 through 1918. November 11, 1918, was not only the date of the Armistice ending World War I, but also the date of the official reestablishment of the Republic of Poland. Ignacy Jan Paderewski had for years worked tirelessly for this reconstitution. The year 2018 marks the 100th anniversary of that event, to be observed by our planned Fifth Annual Paderewski Festival in November. Our fifth performance will take place on the 100th anniversary of that famous Armistice. The City of Raleigh first heard Paderewski on January 23, 1917. The famous pianist appeared at the Raleigh Municipal Auditorium, heralded by several days of enthusiastic build-up by The News and Observer and the local sponsor, the newly founded Rotary Club of Raleigh. Tickets were sold out of the Boylan-Pearce store on Fayetteville Street, and extra trains were laid on to bring excited listeners in from a radius of 100 miles. The actual performance was rendered the more historic by President Woodrow Wilson's speech the day before–January 22, 1917–laying out the general aims of the United States if it were to enter the Great War. That entrance became fact some ten weeks later, on April 6, 1917. One of those aims, first enunciated in that speech, was the re-establishment of a Polish state; the original Polish state had disappeared from the map of Europe in 1795. Wilson's statement, anticipating by almost exactly one year the more famous Fourteen Points, marked the first public declaration by an Allied--or potential Allied--statesman. with free and secure access to the sea. Wilson had requested a memorandum from Paderewski to support his speech of January 22, 1917. His chief adviser, Colonel House, had contacted Paderewski on January 10. After his concert that evening, Paderewski worked through the night and the next day to produce this remarkable document. One of the secretaries who worked on the production of the final submission was Mary Lee Swann (later McMillan), secretary to Paderewski's wife, Helena. After her marriage, Mary Lee McMillan moved to Cameron Park in Raleigh, where she fostered a family still prominent in legal circles of this city. The need for Wilson's speech had been made more urgent by the German and Austro-Hungarian declaration of a potential Polish state, proclaimed on November 5, 1916, insincere as that declaration may have been. The Allies had to make a bid of their own; Wilson's speech heralded that bid. 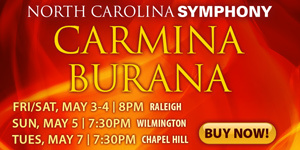 The first two concerts this year will take place in the Daniels Auditorium of the North Carolina Museum of History, named for the family of Josephus Daniels, who as Secretary of the Navy to Wilson became a fast friend of Paderewski's. Paderewski played in the Daniels home on the occasion of his second concert in Raleigh, November 23, 1923. The third concert this year takes place in Washington, in the Embassy that the renewal of the Polish state made possible. We gladly accept donations and emphasize that contributions are tax deductible. The Ignacy Jan Paderewski Festival of Raleigh, Inc. is a 501©(3) tax-exempt public charity under the provisions of sections 170, 2055, 2106, and 2522 of the Internal Revenue Code. Contributions are tax-deductible to the full extent of applicable law. Pianist Sara Daneshpour is the Third-Prize winner of the 2017 Arthur Rubinstein International Piano Competition, along with the 2014 prizewinner at the Seoul International Music Competition in Seoul, Korea and 2013 Laureate of the ProLiance Energy Classical Fellowship Awards of the American Pianists Association. 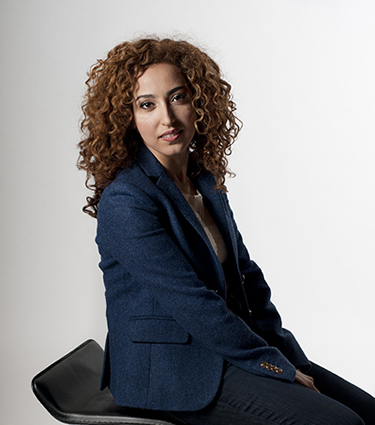 She is the First Prize winner of the XII Concours International de Musique du Maroc (Morocco, 2012), Second-Prize winner in the 2007 William Kapell International Piano Competition, and First Prize and Gold Medal winner of the 2007 International Russian Music Piano Competition. She has studied under the direction of Leon Fleisher at the Curtis Institute of Music, Dr. Yoheved Kaplinsky at the Juilliard School, and Dr. Oleg Volkov. Her studies are continuing under Sergei Babayan at Cleveland Institute of Music since 2015. Ms. Daneshpour has performed not only in her native Washington, but also throughout the U.S., Russia, Canada, Germany, Finland, Estonia, Norway, Denmark, France, Sweden, Spain, and Japan. She has been heard in prestigious venues: the Kennedy Center in Washington, Carnegie Hall in New York, and the Great Hall of the Moscow Tchaikovsky Conservatory. She has been featured nationwide on 160 public radio stations, including WGBH in Boston. 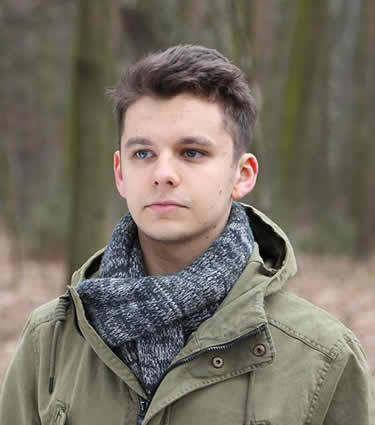 Pianist Kamil Pacholec was born on November 11, 1998, in Kielce, Poland, where he studied with Małgorzata Kowalska at the Ludomir Różycki Music High School. He burst upon the Polish and international piano scene in 2016 as the only high school student and eventual first-place winner in the Fryderyk Chopin 47 National Piano Competition (Katowice). In the same competition he was awarded special prizes for the best Fryderyk Chopin solo interpretation and the best piano concerto performance. He had previously received prizes in Kosice (Czech Republic), Görlitz/Zgorzelec (Germany and Poland), and the Cesar Franck Competition in Kraainem (Belgium). In the summer of 2017 he played five recitals in the Texas Piano Summer (Fort Worth), and recitals in Nohant and Paris, and as featured soloist at Żelazowa Wola and Duszniki Zdrój in Poland. In 2018 he performed under the auspices of the Kraków Piano Summer and competed in the Chopin International Competition on Period Instruments in September 2018. Since graduating with honors from the Rozycki Music School in Kielce in 2017 he has been a student of Professor Wojciech Świtała in the Karol Szymanowski Piano Academy in Katowice. His appearance in Raleigh last year was so compelling that we have invited him again. Pianist: Eric Lu, born in 1998, first came to international attention as a prize winner at the 2015 Chopin International Competition in Warsaw, aged just 17, and on winning the 2017 International German Piano Award and the US National Chopin Competition. He has just won First Prize at The Leeds International Piano Competition in September 2018, performing Beethoven’s Fourth Piano Concerto with The Hallé and Edward Gardner in the final. Eric begins the 2018/19 season by performing with the Royal Liverpool Philharmonic and Vasily Petrenko, and continues with further concerts with The Hallé and Sir Mark Elder. 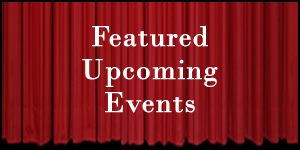 Other forthcoming dates include a concert with the Oslo Philharmonic and recitals at the Philharmonie Luxembourg and Gewandhaus Leipzig. November 2018 will see the release of Eric’s first recording for Warner Classics, featuring his Beethoven and Chopin from Leeds. 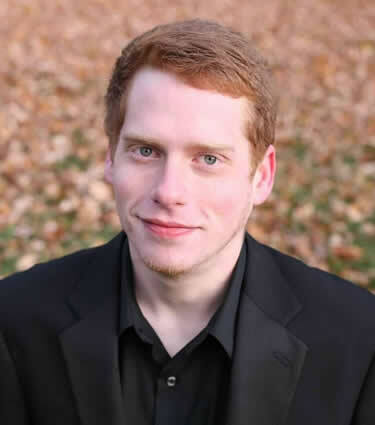 Born in Massachusetts in 1997, Eric has already worked with the Minnesota Orchestra, Orchestra of the Eighteenth Century, and Warsaw Philharmonic. He has performed at Carnegie Hall, Alte Oper Frankfurt, Taipei National Concert Hall, Tokyo Metropolitan Hall, Auditorio Nacional Madrid and Seoul Arts Center, among others. 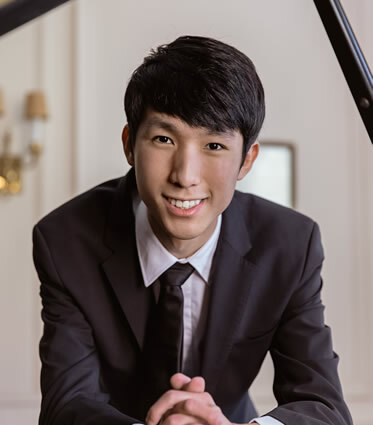 He is currently studying at the Curtis Institute of Music in Philadelphia where his teachers include Jonathan Biss and Robert McDonald, and is also a pupil of Dang Thai Son. Pianist Jakub Kuszlik was born in 1996 in Bochnia, Poland. He graduated Władysław Żeleński Music School in Cracow in Olga Łazarska’s class and is currently a student of Ekaterina Popowa-Zydroń at Feliks Nowowiejski Music Academy in Bydgoszcz. His biggest achievement is winning the 2nd Prize at the International Paderewski Piano Competition in Bydgoszcz (he also won several special prizes). He also won several prizes at other international and national competitions, e.g. the 10th Competition “Artur Rubinstein in memoriam” in Bydgoszcz (2nd Prize), the XIII Ludwik Stefanski and Halina Czerny–Stefańska Competition in Płock (Grand Prix), the National Auditions of Piano Students (1st Prize) and the VI Moritz Moszkowski Competition in Kielce (1st Prize). He has performed in Poland and abroad in Germany, Italy, Japan, Norway and Iceland. His scholarships include the Ministry of Culture and National Heritage, the Czartoryski Foundation, and honorary scholarship of Pro Musica Bona Foundation. He has won prizes in piano competitions beginning at age 14, including the All-Poland Piano Competition in Konin (third place, 2010), the International Piano Competition in Zgorzelec (second place, 2011), the Halina Czerny-Stefańska Piano Tournament in Żagań (first place, 2012), the EPTA International Piano Competition in Cracow (second place, 2012) and the International Moritz Moszkowski Piano Competition in Kielce (first place, 2013). This year we will feature two additional concerts: the Embassy of the Republic of Poland in Washington on November 6 and the Bruno Walter Auditorium in Lincoln Center in New York on November 17. 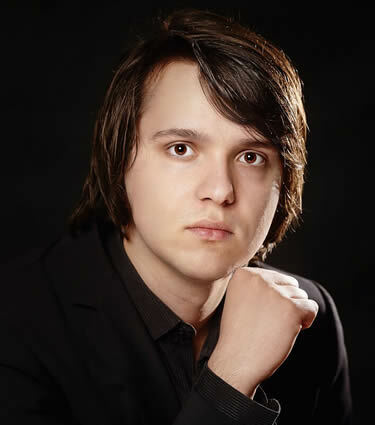 Pianist: Jakub Kuszlik was born in 1996 in Bochnia, Poland. He graduated Władysław Żeleński Music School in Cracow in Olga Łazarska’s class and is currently a student of Ekaterina Popowa-Zydroń at Feliks Nowowiejski Music Academy in Bydgoszcz. His biggest achievement is winning the 2nd Prize at the International Paderewski Piano Competition in Bydgoszcz (he also won several special prizes). He also won several prizes at other international and national competitions, e.g. the 10th Competition “Artur Rubinstein in memoriam” in Bydgoszcz (2nd Prize), the XIII Ludwik Stefanski and Halina Czerny–Stefańska Competition in Płock (Grand Prix), the National Auditions of Piano Students (1st Prize) and the VI Moritz Moszkowski Competition in Kielce (1st Prize). He has performed in Poland and abroad in Germany, Italy, Japan, Norway and Iceland. His scholarships include the Ministry of Culture and National Heritage, the Czartoryski Foundation, and honorary scholarship of Pro Musica Bona Foundation. He has won prizes in piano competitions beginning at age 14, including the All-Poland Piano Competition in Konin (third place, 2010), the International Piano Competition in Zgorzelec (second place, 2011), the Halina Czerny-Stefańska Piano Tournament in Żagań (first place, 2012), the EPTA International Piano Competition in Cracow (second place, 2012) and the International Moritz Moszkowski Piano Competition in Kielce (first place, 2013). Pianist Timothy Jones grew up in Chapel Hill. He attended the North Carolina School of the Arts in Winston-Salem before becoming a student of Marian Hahn at Peabody Conservatory (Johns Hopkins) in Baltimore where he is entering his senior year. In March 2017 he won the Music Teachers National Association Young Artists Competition (conservatory level) in his second year at Peabody. He studied privately with Brenda Bruce, Eric Larsen, Douglas Humphreys, Anton Nel, and Rebecca Penneys. In past years he has attended, studied, played, and taught in the summer months at Bowdoin International Music Festival, Meadowmount International Music Festival, and Aspen Music Festival. 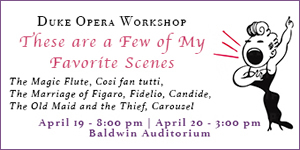 Masterclasses include Robert McDonald, John Perry, Ann Schein, and Leon Fleisher. In the summer of 2018 he studied with Boris Berman and Wei-yi Yang at the Virtuoso and Belcanto Festival in Lucca, Italy, and participated and performed in the Kraków Piano Summer in Poland. He has performed in Miami, Baltimore, Austria, and Kraków, among other venues. As an avid chamber musician and collaborator, Timothy was a member of Trio ex Animo, a trio of undergraduate winners of Peabody Institute’s Honors Ensemble audition, a program that selects a chamber group to represent the highest level of chamber music at Peabody, providing them performance opportunities and a piece written for them by a student composer. 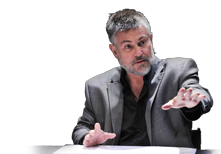 He is also an experienced vocal pianist, having played in masterclasses and lessons for Frederica von Stade, Ah Young Hong, Phyllis Bryn-Julson, and Steven Rainbolt.